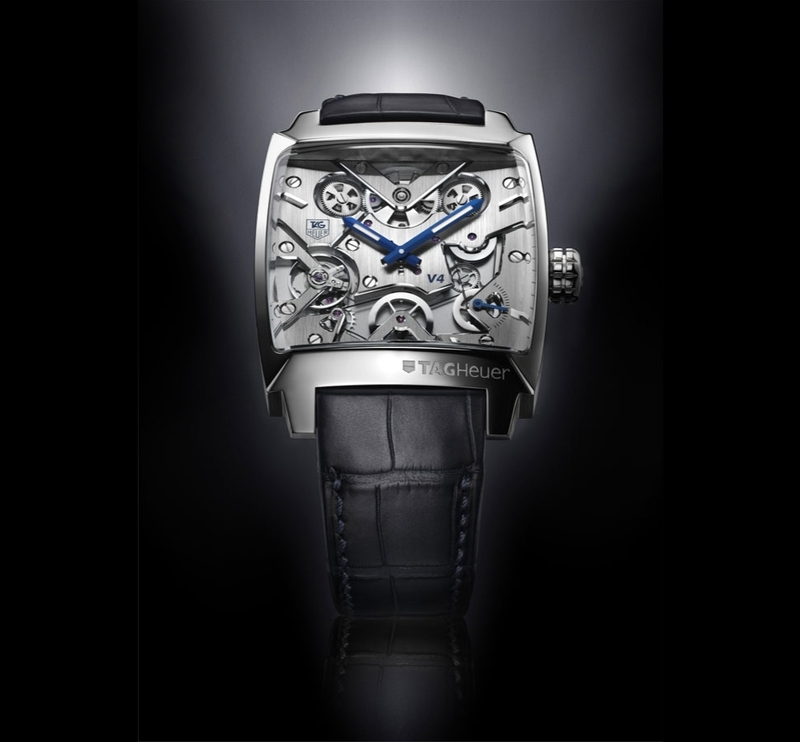 In 2004, TAG Heuer introduced the Monaco V4, as a concept watch. Five years later, the concept is finally becoming a reality. 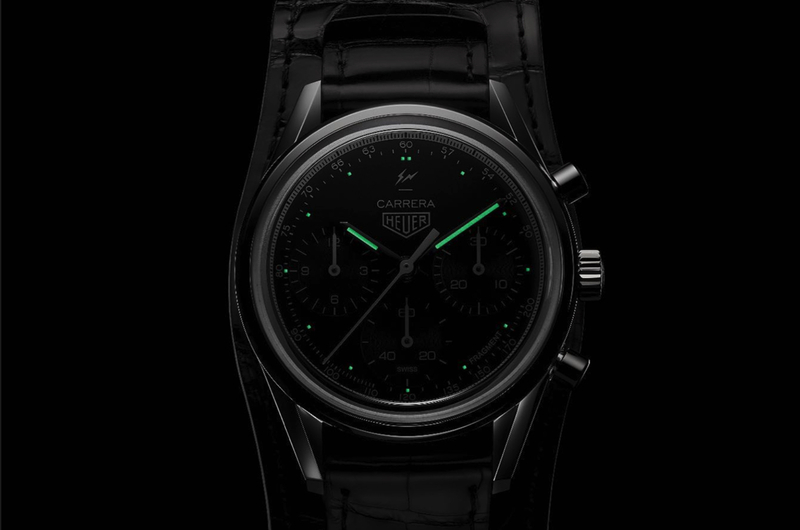 The first one will go sale at the Only Watch Auction 2009, on September 24th. The auction will be conducted by Patrizzi & Co. during the Monaco Yacht Show. All proceeds of the sale go to support research into Duchenne Muscular Dystrophy. 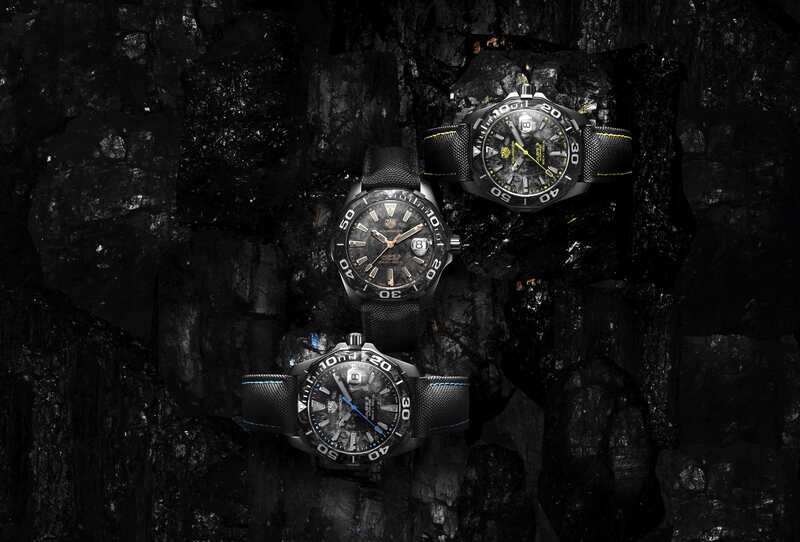 The V4’s revolutionary movement is belt-driven, the first watch of its kind. 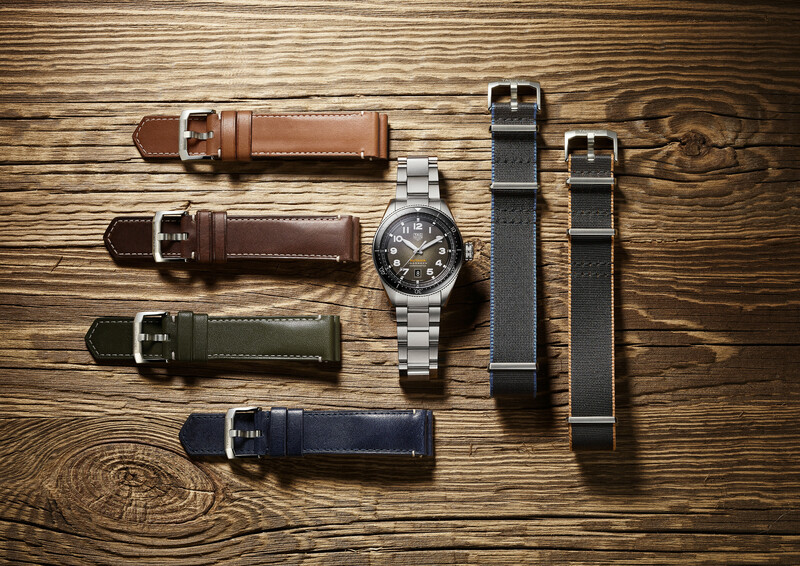 The pinions of a traditional mechanical movement have been replaced with five drive belts and ball bearings. A linear (straight line) automatic winding system is used to power the movement. An oscillating weight moves up and down, as opposed to swinging to and fro. For the Monaco V4, the oscillating weight moves on a track between four spring barrels. The barrels, in 2-by-2 series, are linked to a differential with a V-shaped bridge. A sapphire caseback allows a view of this revolutionary “V” movement. This timepiece comes in platinum, with an alligator strap, and is available in a limited series of 150.